In 1986, the NoBel Prize for Physiology or Medicine was awarded jointly to Stanley Cohen and Rita Levi-Montalcini for their discovery of the growth factors — nerve growth factor (NGF) and epidermal growth factor (EGF), respectively1. This sparked a new era of scientific expansion in all areas related to the regulation and direction of cell growth as mediated by growth factors and cytokines. It is not surprising that one of the first areas to benefit from this new body of knowledge was that of wound care. Around the time of this discovery, numerous articles appeared in the medical literature investigating the use of cell cultures and growth factors for burns2-4 and numerous other wound types5. In these situations, laboratory-grown sheets of cells from small volumes of harvested tissue6,7 known as ‘tissue-engineered skin substitutes’ came into use for a wide variety of surgical and medical situations. One of these techniques incorporated neonatal foreskins harvested during circumcision for the purpose of culturing epidermal cells8 for tissue intended for grafting. The use of the same basic technology, i.e. cell cultures obtained from neonatal foreskins, remains available today and has also been incorporated into cosmeceutical products9 through the use of cytokines and growth factors extruded into the nutrient media of such cell cultures. Other technologies use cytokines and growth factors from other types of discarded cultured human tissue, such as discarded fetal tissue10,11, and is also available in cosmeceutical products. Not all of these cosmeceutical products share the same availability to consumers worldwide. European regulations are sometimes considered more stringent12. Despite variances worldwide in the availability of products containing growth factors, market interest in this product category is high. Many cosmetic dermatologists are selling some type of growth factor skincare. Consumers seem better educated on product ingredients and are willing to spend money on products that they believe will deliver better results. 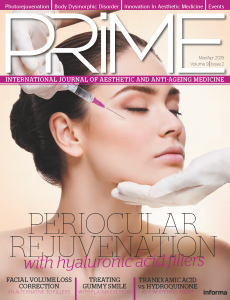 ‘Consumers are particularly interested in product ingredients, including peptides and other growth factors that activate skin stem cells to boost collagen production and facilitate cell renewal’13. Considering these factors, growth factor products with global cosmetic regulatory acceptance and positive ingredient effects well-documented in the medical literature, should have considerable consumer interest and marketability. Copper tripeptide-1 has been judged safe by the US Cosmetics Ingredient and Safety Review14 and is also available in the EU and worldwide. Information about this compound was first published by Loren Pickart in 197515. In the many subsequent papers by Pickart and others, the compound was described as a growth factor with actions like hepatocyte growth factor (HGF)16. HGF is like other molecules in the family of growth factors in that it is a very long peptide chain with a large molecular weight and size. 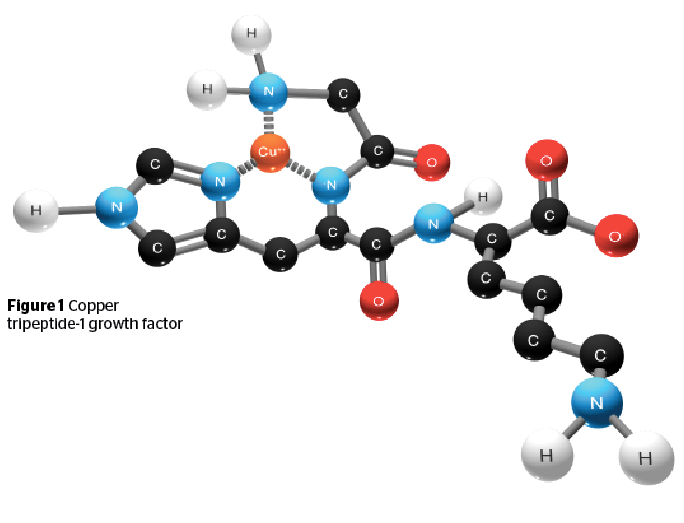 It is therefore more correct to describe copper tripeptide-1 as a growth factor analogue since it is composed of only three amino acids (a tripeptide). It is now known to fit into the family of cytokines. Because it is such an important messenger molecule with a wide range of properties and functions, it has sometimes been termed a ‘matrikine’17. However, in the literature it may still be referred to as a growth factor. The molecular structure of copper tripeptide-1 is indicated by its name, i.e. a tripeptide chain consisting of glycine, histidine, and lysine (GHK) complexed with copper (Figure 1). Copper tripeptide-1 exists naturally within human tissue and is therefore bio-identical. It exhibits a surprisingly diverse array of repair functions. Injured tissues contain large amounts of this compound where it acts as a signalling agent for repair and regeneration18. In these repair processes, it signals the synthesis of collagen, elastin, and glycosaminoglycan (GAG) ground substances19. Early in its discovery, its regenerative effects were realized for hepatocytes. These involved the anti-senescence of aged liver cells into physiologically younger cells and protection from, as well as reversal of, toxin-mediated hepatic damage20–22. As well as being present in wounded tissue, copper tripeptide-1 was also found to be a normal inhabitant of saliva, urine, and all collagenated tissue, as well as discovered to have important effects in maintaining and repairing all tissue types23. Copper tripeptide-1 exists in forms both complexed with and without copper. It has a high affinity with copper, a metal associated with many enzymes in the human body that benefit tissue repair, inflammation, metabolism, and synthesis of vital molecular structures24. Copper metal ions themselves are also found in high concentrations around healing wounds and are therefore implicated in wound healing and inflammatory processes. Much of the benefit of copper tripeptide-1 relates to its ability to efficiently bind and transfer copper ions, a quality also related to its mitigation of oxidative stress25. The design of the skin serves as an effective physiochemical barrier. Penetration of long-chain peptides is problematic in spite of recent advances in drug delivery, which are not available for cosmeceuticals. In general, compounds greater than 500 Daltons in size are unable to penetrate the skin barrier26. Yet the majority of biologic processes are modulated by specific amino acid sequences. Short chain peptides with good barrier penetration that do not require advanced penetration enhancers or drug delivery systems are of great interest to the cosmetics industry27. Copper tripeptide-1 easily penetrates the stratum corneum barrier28. As long as compatibility with other actives is considered in the formulation technology, its ease of penetration makes copper tripeptide-1 a good choice for inclusion in cosmeceutical products. 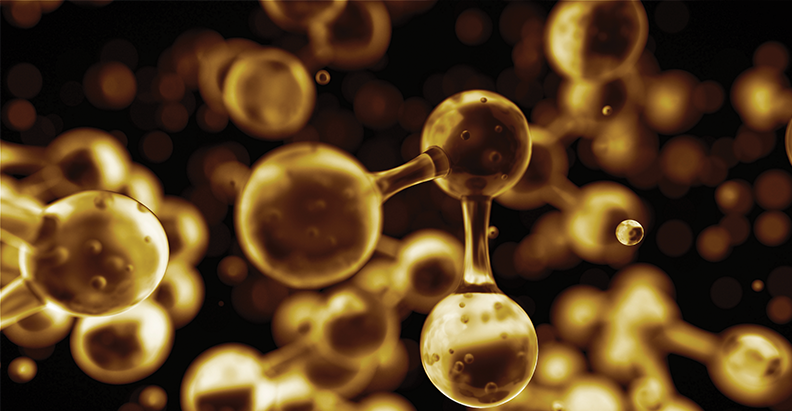 Copper tripeptide-1 may be considered one of the body’s emergency response molecules. It is released during injury and comes to the body’s aid when the processes below are activated. Any tissue injury signals the release of copper tripeptide-1, which signals repair processes to begin. A huge body of scientific evidence supports the essential role of copper tripeptide-1 in the acceleration of wound healing in many human and animal wound types29-32, including surgical33,34, post-laser35, Mohs36, ischemic37, burns, large skin grafts38, hair transplants39, refractory venous stasis ulcers40, diabetic ulcers41, and others. Diabetic wounds healed three times faster in the presence of copper tripeptide-1 and time to re-epithelialization was shortened42,43. 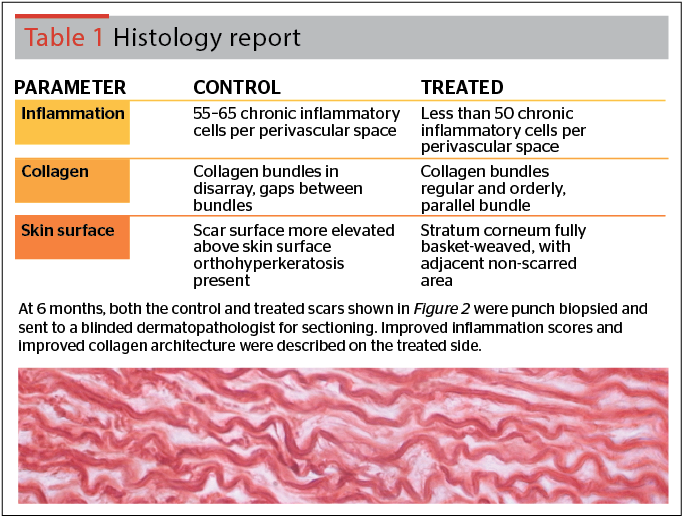 Figure 2 and Table 1 below illustrate the ability of copper tripeptide-1 to improve wound healing in skin for surgical wounds. The digital photographs shown in Figure 2 are of two identical full-thickness skin wounds made with a scalpel penetrating to the hypodermis. Both wounds were one centimeter in length. Sutures were removed at one week post-incision and application of a cosmeceutical product44 containing copper tripeptide-1 was initiated on the treated side. The photographs illustrate a much more cosmetically acceptable wound on the treated side at time periods of both 3 months and 6 months post-incision. These are compared to the control incision without product application that shows adequate wound healing but an inferior cosmetic result. These results substantiate the ability of cosmeceutical products containing copper tripeptide-1 to improve post-procedure scarring. The incisional wounds of Figure 2 were then punch biopsied and sent to a fully blinded dermatopathologist for microscopy. The dermatopathologist’s description of the two wounds, both control and treated, are given in Table 1. With application of the cosmeceutical product containing copper tripeptide-1 to the treated incision, fewer inflammatory cells were seen and the stratum corneum exhibited a normal appearance. The stratum corneum was described as fully ‘basket-weaved’ and having the same appearance as the adjacent non-scarred area. Collagen bundles were regular and in orderly parallel bundles. 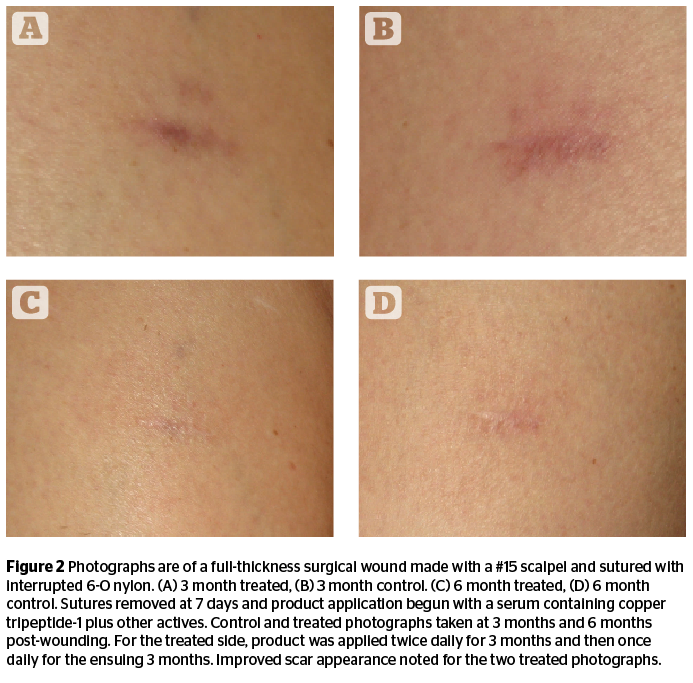 These light microscopic findings further explain the improved cosmetic results seen with the treated scar in Figure 2. Furthermore, copper tripeptide-1 is active not only in wound healing but also for normal tissue remodelling. Studies have documented these regenerative effects in both human and animal studies. Animal studies have included rats, mice, pigs, rabbits, horses, dogs, and guinea pigs. The types of wounds studied in humans and animals have included gastrointestinal ulcers, liver injury from toxins, surgical wounds, burn wounds, ischemic wounds, bone fractures, punch biopsies, skin transplants, hair transplants, and tissue wounds evaluated in wound chambers. 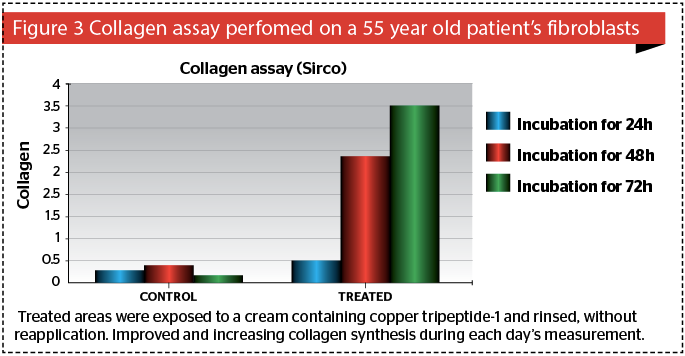 In skin, the specific effects of copper tripeptide-1 include increasing keratinocyte proliferation and normal collagen synthesis45,46, improving skin thickness47, skin elasticity and firmness48, improving wrinkles49, photodamage50 and glycation51, uneven pigmentation, skin clarity and tightening, and upregulating protective barrier proteins52,53. Copper tripeptide-1 has decreased chemotherapeutic hair loss in both animals and humans and improved hair transplant survival and ‘take’. Furthermore, through effects on decorin54, new collagen made under the direction of copper tripeptide-1 assumes the correct anatomical configuration rather than a disorganized scar55. Matrix support structures of the dermis including collagen I, collagen III, and glycosaminoglycans56 increase as normal tissue configuration is restored in the presence of this growth factor. Thus it may be said that the properties of tissue remodelling and renewal associated with copper tripeptide-1 are ubiquitous throughout the human body and not unique to skin. The compound’s properties make it an attractive addition to cosmeceuticals both for anti-ageing effects and for optimizing post-procedure results. Figure 3 illustrates the ability of a cosmeceutical product57 to improve collagen synthesis in aged fibroblasts. Fibroblasts from a 55 year-old patient were specified in the experiment to give a truer test of product. Metabolism slows with ageing and protein synthesis declines. Specifically, collagen synthesis decreases by about 1% per year after the age of twenty, and from the age of sixty years humans synthesize about one-half of the collagen they were able to make at the age of twenty years. Each of the three bars for the control and the treated fibroblasts exposed to product were measured at 24 hours, 48 hours, and 72 hours, respectively. The fibroblasts exposed to the cosmeceutical product containing copper tripeptide-1 showed collagen synthesis increasing through each time period. This is more remarkable when considering that, per experimental protocol, the cosmeceutical product was rinsed off the cells after application. Thus the experiment further substantiates that the copper tripeptide-1-containing product achieved delivery to the site of action inside the aged fibroblasts to initiate steps in the process of collagen synthesis. These results have application both for post-procedural results as well as in the mitigation of ageing where architecturally correct collagen synthesis is impaired and declines. Likelihood of keloid formation is reduced and scar surface area is decreased59. Collagen production with this active was superior to creams containing vitamin C or retinoic acid60. Copper tripeptide-1 has a strong anti-tumor effect61 on both primary tumor growth and metastases mediated by multiple possible mechanisms62 including decorin63,64, apoptosis65, and biologic chelation of the potentially pro-oxidant metals — iron66 and copper67,68. It protects DNA from the damaging effects of radiation during cancer treatments and photoaging. Radiated fibroblasts showed restoration of intact functioning after exposure to copper tripeptide-1. A variety of tumor cell lines have been shown to be suppressed or die in the presence of this compound while healthy cell lines continued to grow normally. This and other evidence implies that copper tripeptide-1 may be used in topical products to enhance normal tissue repair without fear of neoplastic transformation. Survival of stem cells in the basal epidermis and other epithelial cells is promoted by tripeptide-169,70. This suggests it could have an important anti-ageing effect71,72 and, in fact, its anti-senescent effects73 have been demonstrated on a number of tissue types including skin74. Keratinocyte proliferation is encouraged through stem cell maintenance encouraged via copper tripeptide-175. Many of the body’s intrinsic antioxidant systems, including superoxide dismutase, are induced by copper tripeptide-1 as demonstrated in healing wounds76. Copper tripeptide-1 is a novel compound of great interest to aesthetics. This is related to its ubiquitous abilities not only in skin but also in other tissues to initiate tissue regeneration and wound repair for all types of wounds, increase collagen synthesis, effect DNA repair, quiet excess inflammatory processes, and act as an antioxidant. Its potential for improving post-procedure results and decreasing the velocity of ageing is obvious. Its safety profile is also quite remarkable and increases the level of interest. No adverse effects or issues have been found for copper-tripeptide-1 in spite of extensive research involving the compound since the early 1980s. As well as acting as a growth factor, it also has attractive anti-neoplastic effects that substantiate its safety profile for the ageing patient. 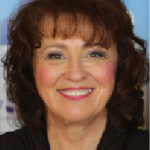 Declaration of interest The author serves as Clinical Director for INNOVATIVE SKINCARE®, an international cosmeceutical company based in the United States and manufacturer of iS CLINICAL® products. Hefton JM, Finkelstein JL, Madden MR, Shires GT. Grafting of burn patients with allografts of cultured epidermal cells. Lancet. 1983 Aug 20;322(8347):428-430. Faure M, Mauduit G, Schmitt D, Kanitakis J, Demidem A, Thivolet J. Growth and differentiation of human epidermal cultures used as auto- and allografts in humans. Br J Dermatol. 1987;116:161-170. Eisinger M, Lee JS, Jefton JM, Darzynkiewicz Z, Chiao JW, de Harven E. Human epidermal cell cultures: growth and differentiation in the absence of dermal components or medium supplements. Proc Natl Acad Sci USA. 1979 Oct 1;76(10):5340-5344. Eisenbud D, Huang NF, Luke S, Silberklang M. Skin substitutes and wound healing: current status and challenges. Wounds. 2004 Jan;16(1):2-17. Rheinwald J, Green H. Serial cultivation of strains of human epidermal keratinocytes: formation of keratinizing colonies from single cells. Cell. 1975;331-344. Cuono CB, Langdon R, Birchall N, Barttelbort S, McGuire J. Composite autologous-allogenic skin replacement: development and clinical application. Plast Reconstr Surg. 1987;80:626-637. Green H, Kehinde O, Thomas J. Growth of cultured human epidermal cells into multiple epithelia suitable for grafting. Proc Natl Acad Sci USA. 1979 Nov;76(11):5665-5668. Sundaram H, Mehta RC, Norine JA, Kircik L, Cook-Bolden FE, Atkin DH, Werschler PW, Fitzpatrick RE. Topically applied physiologically balanced growth factors: a new paradigm of skin rejuvenation. J Drugs Dermatol. 2009 May 8(5 Suppl Skin Rejuvenation):4-13. Bruce S, Kamik J, Dryer L, Burkholder D. Anti-aging proof of concept study: results and summary. J Drugs Dermatol. 2014 Wept;13(9):1074-1081. Gold MH, Goldman MP, Biron J. Efficacy of novel skin cream containing mixture of human growth factors and cytokines for skin rejuvenation. J Drugs Dermatol. 2007 Feb;6(2):197-201. McDougall A. European and US regulations – a world apart. For now. www.cosmeticsdesign.com. 2012 May 24. Panel review. Safety assessment of Tripeptide-1, Hexapeptide-12, their metal salts and fatty acyl derivatives, and palmitoyl tetrapeptide-7 as used in cosmetics. Cosmetic Ingredient Review Expert Panel Review Report. 2014 Mar 28. Pickart L and Thaler MM. Purification of growth promoting peptides and proteins, and of histones, by high pressure silica gel chromatography. Prep Biochem 1975;5:397-412. Matsumoto K, Tajima H, Hamanoue M, Kohno S, Kinoshita T, Nakamura T. Identification and characterization of “injurin”, an inducer of expression of the gene for hepatocyte growth factor. Proc Natl Acad Sci USA. 1992 May 1;89(9):3800-3804. Zhang L, Falla TJ. Cosmeceuticals and peptides. Clin Dermatol. 2009;27:485-494. 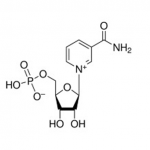 Pickart L. The human tri-peptide GHK and tissue remodeling. J Biomater Sci Polym Ed. 2008;19(8):969-988. Simeon A, Wegrowski Y, Bontemps Y, Maquart FX. Expression of glycosaminoglycans and small proteoglycans in wounds: modulation by the tripeptide-copper complex glycyl-L-histidyl-L-lysine-Cu(2+). J Invest Dermatol. 2000 Dec;115(6):962-968. Pickart L, Thaler MM. Tripeptide in human serum which prolongs survival of normal liver cells and stimulates growth for neoplastic liver. Nature New Biol. 1973;243:85-87. Smakhtin MY, Severyanova LA, Konoplia AI, Shveinov LA. Tripeptide Gly-His-Lys is a hepatotropic and immunosuppressor. Bull Exp Biol Med. 2002 Jun;133(6):586-588. Smakhtin MI, Konoplia AI, Severyanova LA, Sheveinov IA. Pharmacological correction of immunometabolic disorders with the peptide Gly-His-Lys in hepatic damage inducted by tetrachloromethane. Patol Fiziol Eksp Ter. 2003 Apr-Jun;(2):19-21. Pickart L. Published studies on tissue and skin remodeling copper-peptides: copper peptide studies on skin renewal, wound healing, and hair growth. www.Skinbiology.com. 2014. Grider A. Zinc, Copper, and Manganese. Stipanuk MH, Caudill MA (eds) Biochemical, Physiological, and Molecular Aspects of Human Nutrition. 2013. Elsevier: USA. p830. Multhaup, Hesse S, Beher, Masters R, Beyreuther. The amyloid precursor protein of Alzheimer’s disease in the reduction of copper (II) to copper (I). Science 1996 Mar 8;271(5254):1406-1409. Bos JD, Meinardi MM. The 500 Dalton rule for the skin penetration of chemical compounds and drugs. Exp Dermatol. 2000;9:165-169. Mazurowska L, Mojski M. Biological activities of selected peptides: skin penetration ability of copper complexes with peptides. J Cosmet Sci. 2008 Jan-Feb;59(1):59-69. Bevan D, Gherardi E, Fan TP, Edwards D, Warn R. Diverse and potent activities of HGF/SF in skin wound repair. J Pathol. 2004 Jul;203(3):831-838. Dart AJ, Bowling BA, Smith CL. Topical treatments in equine wound management. Vet Clin N Am Equine Pract. 2005 Apr;21(1):77-89. Mulder GT. The role of tissue engineering in wound care. J Wound Care. 1999 Jan;8(1):21-24. Simeon A, Monier F, Emonard H, Gillery P, Birembaut P, Hornebeck W, Maquart FX. Expression and activation of matrix metalloproteinases in wounds: modulation by the tripeptide-copper complex glycyl-L-histidyl-L-lysine-Cu2+. J Invest Dermatol. 1999 Jun. 112(6):957-64. Swaim SF, Bradley, Spano, McGuide, Hoffman. Evaluation of multipeptide copper omplex medications on open wound healing in dogs. J Amer Ani Hos Assoc. 1993;29:519-525. Counts D, Hill E, Turner-Beatty M, Grotewiel M, Gosha-Thomas S, Pickart L. Effect of lamin on full thickness wound healing. Fed Am Soc Exp Biol. 1992;A1636. Miller TR, Wagner JD, Baack BR, Eisbach KJ. Effects of topical copper tripeptide complex on CO2 laser-resurfaced skin. Arch Facial Plast Surg. 2006 Jul-Aug;8(4):252-259. Fish S, Katz I, Hien NR, Briden ME, Johnson JA, Patt L. Evaluation of glycyl-l-histidyl-l-lycine copper complex in acute wound healing. Wounds. 1991;3:171-177. Canappo SO Jr, Farese JP, Schultz GS, Gowda S, Ishak AM, Swaim SF, Vangilder J, Lee-Ambrose L, Martin FG. The effect of topical tripeptide-copper complex on healing of ischemic open wounds. Vet Surg. 2003 Nov-Dec;32(6):515-523. Pickart L, Iamin. A human growth factor with multiple wound healing properties. In Biology of Copper Complexes. 1987;Clifton NJ:273-285. Hitzig G. Enhanced healing and growth in hair transplantation using copper peptides. Cosmetic Dermatol. 2000 Jun;13:18-21. Aupaix, Maquart FX, Salagnac, Pickart L, Gillery, Borel and Kalis. Effects of the tripeptide glycyl-l-histidyl-l-lysine copper(II) on healing. Clinical and biochemical correlations. Invest Derm. 1990;94:390. Massey P, Patt L, D’Aoust JC. The effects of glycyl-l-histidyl-l-lysine copper chelate on the healing of diabetic ulcers. Wounds. 1992;4:21-28. Mulder GT, Patt LM, Sanders L, Rosenstock J, Altman MI, Hanley ME, Duncan GW. Enhanced healing of ulcers in patients with diabetes by topical treatment with glycyl-l-histidyl-l-lysine copper. Wound Repair Regen. 1994 Oct;2(4):259-269. Mulder GD, Patt L, Sanders L, Rosenstock J, Altman MI, Hanley ME, Duncan GW. Enhanced healing of ulcers in patients with diabetes by topical treatment of glycyl-l-histidyl-l-lysine. Wound Rep Reg. 1994;2:259-169. Huang PJ, Huang YC, Su MJ, Yang TY, Huang JR, Jiang CP. In vitro observations on the influence of copper peptide aids for the LED photoirradiation of fibroblast collagen synthesis. Photomed Laser Surg. 2007 Jun;25(3):183-90. Maquart FX, Pickart L, Laurent M, Gillery P, Monboisse JC, Borel JP. Stimulation of collagen synthesis in fibroblast cultures by the tripeptide-copper complex glycyl-l-histidyl-l-lysine-Cu2+. FEBS Lett. 1988 Oct 10;238(2):343-346. Leyden J, Stephens T, Finkey MB, Barkovic S. Skin care benefits of copper peptide containing facial cream. Amer Acad Dermatol Meeting. 2002 Feb;Abstract P68. Appa Y, Barkovic S, Finkey MB. A clinical evaluation of a copper-peptide containing liquid foundation and cream concealer designed for improving skin condition. Amer Acad Dermatol Meeting. 2002 Feb;Abstract P66. Leyden J, Stephens T, Skin care benefits of copper peptide containing eye creams. Amer Acad Dermatol Meeting. 2002 Feb;Abstract P69. Leyden J, Grove G, Barkovic S, Appa Y. The effect of tripeptide to copper ratio in two copper peptide creams on photoaged facial skin. Amer Acad Dermatol Meeting. 2002 Feb;Abstract P67. Cebrian J, Messeguer A, Facino RM, Garcia-Anton JM. New anti-RNS and –RCS proucts for cosmetic treatment. Inter J Cosm Sci. 2005 Oct;27:271-278. Pickart L. The human tripeptide GHK and tissue remodeling. Wound healing and technology. J Biomater Sci Polymer Edit. 2008;19(8):969-988. Pickart L. Copperceuticals and the skin. Cosmetics Toiletries. 2003;118:24-28. Simeon et. al. Ibid. (Ref 22). Simeon, Monier, Emonard, Gillery, Birembaut, Hornebeck, Maquart FX. Expression and activation of matrix metalloproteinases in wounds: modulation by the tripeptide-copper complex glycyl-l-histidyl-l-lysine-Cu2+. J Invest Dermatol. 1999;112(6):957-964. Wegrowski, Maquart FX, Borel. Stimulation of sulfated glycosaminoglycans by the tripeptide copper complex glycyl-l-histidyl-l-lysine copper (II). Life Sci. 1992;51:1049-1056. McCormack M, Nowak KC, Koch J. The effect of copper tripeptide and tretinoin on growth factor production in a serum-free fibroblast model. Arch Facial Plast Surg. 2001;3:28-32. Canapp SO Jr et al. Ibid (Ref 37). Abdulghani AA, Sherr A, Shirin S, Solodkina G, Tapia EM, Wolf-Gottlieb AB. Effects of topical creams containing Vitamin C, a copper-binding peptide cream and melatonin compared with tretinoin on the ultrastructure of normal skin – a pilot clinical, histologic, and ultrastructural study. Dis Management Clin Outcomes. 1998;1:136-141. Hong Y, Downey T, Eu KW, Koh PK, Cheah PY. A ‘metastasis-prone’ signature for early-stage mismatch-repair proficient sporadic colorectal cancer patients and its implications for possible therapeutics. Clin Exp Metastasis. 2010 Feb 9;27(2):83-90. Kang YA, Choi HR, Na JI, Huh CH, Kim MJ, Youn SW, Kim KH, Park KC. Copper-GHK increases integrin expression and p63 positivity by keratinocytes. Arch Dermatol Res. 2009 Apr;301(4):301-306. Goldoni S, Iozzo RV. Tumor microenvironment: modulation by decorin and related molecules harboring leucine-rich tandem motifs. Int J Cancer. 2008 Dec 1;123(11):2473-2479. Simeon et. al. Ibid (Ref 22). Matalka LE, Ford A, Unlap MT. The tripeptide, GHK, induces programmed cell death in SH-6Y5Y neuroblastoma cells. J Biotechnol Biomater. 2012;2:144. Miller DM, DeSilva D, Pickart L, Aust SD. Effects of glycyl-histidyl-lysyl chelated Cu(II) on ferritin dependent lipid peroxidation. Adv Exp Med Biol. 1990;264:79-84. Johnson DK, Murphy TB, Rose NJ, Goodwin WH, Pickart L. Cytotoxic chelators and chelates 1. Inhibition of DNA synthesis in cultured rodent and human cells by aroylhydrazones and by a copper (II) complex of salicylaldehyde benzoyl hydrazine. Inorganica Chimica Acta. 1982;67:159-165. Pickart L, Lovejoy S. Biological activity of human plasma copper-binding growth factor glycyl-l-histidyl-l-lysine. Methods Enzymol. 1987;147:314-328. Choi HR, Kang YA, Ryoo SJ, Shin JW, Na JI, Huh CH, Park KC. Stem cell recovering effect of copper-free GHK in skin. J Pept Sci. 2012 Nov;18(11):685-690. Su X, Paris M, Gi YJ, Tsai KY, Cho MS, Lin YL, Biernaskie JA, Sinha S, Prives C, Pevny LH, Miller FD, Flores ER. Tap63 prevents premature aging by promoting adult stem cell maintenance. Cell Stem Cell. 2009 Jul 2;5(1):64-75. Pickart L, Vasquez-Soltero JM, Margolina A. GHK peptide as a natural modulator of multiple cellular pathways in skin regeneration. BioMed Res Internatl. 2015(2015):ID648108. Pickart L. The human tripeptide GHK (glycyl-L-histidyl-L-lysine), the copper switch and the treatment of the degenerative conditions of aging. In Anti-Aging Therapeutics Volume XI. Klatz R, Goldman R (eds.). 2009;Amer Acad Med:Chicago IL:301-3012. West MD, Pereira-Smith OM, Smith JR. Replicative senescence of human skin fibroblasts correlates with a loss of regulation and overexpression of collagenase activity. Exp Cell Res. 1989 Sep;184(1):138-147. Gorouhi F, Maibach HI. Role of topical peptides in preventing and treating aged skin. Int J Cosm Sci. 2009;31:327-345. Kang et al. Ibid. (Ref 60). Arul V, Gopinath D, Gomathi K, Jayakumar R. Biotinylated GHK peptide incorporated collagenous matrix. A novel biomaterial for dermal wound healing in rats. Biomed Mater Res B Appl Biomater. 2005 May;73(2):383-391.